My Year Of Star Trek: I'm BACK, baby! But where have I been, really? So, for the last couple of weeks, I was in computer jail. On an otherwise lovely Sunday afternoon I went off to get some nachos and when I came back my laptop wouldn't start. Gray screen. Restart. Gray screen. Restart. Gray screen. I ended up in a seemingly endless apple service loop before I finally, yesterday, got my baby back. Unfortunately, by that time, I was already exhausted from writing all day and just couldn't bring myself to come over her and do a post. But, today, I couldn't hold back. I've missed this blog! I've missed you! 2- Write some here, if you have time. 5- This process takes about two hours for me right now so... GYM! 6- Go home. Eat Lunch. 7- Write for several hours. Try not to binge eat Cheez-its during this step. 8- Eat dinner that you probably put in the crockpot at lunch time because you knew you'd be too busy writing to make dinner. 9- Write for three or four more hours. 10- When you can't write anymore, do some editing or research.<<Right here is where blogging should go, come to think of it. 12- Take your medicine and 9,000 supplements. Brush your teeth. Make protein shakes for the next day. 13- Lay in bed and read something old and British until you fall asleep. Anyway, in all of this really boring yet somehow intense lifestyle, I did manage to halfway watch a Star Trek in the last three weeks. 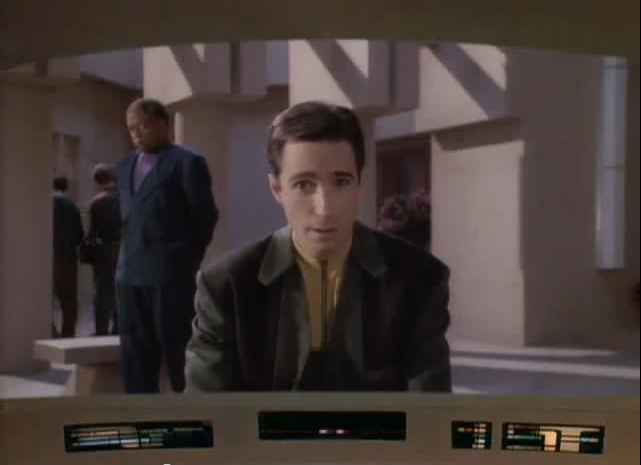 A TNG episode was just starting up BBCA (isn't it always, really?) and I thought it'd be fun (with the TV on mute, because I was writing) to see how long it would take before I figured out which episode it was. That's right, people-- it's "The Masterpiece Society" wherein these chumps think they have a good thing going on until The Enterprise comes along and makes everyone start second guessing their perfect world. 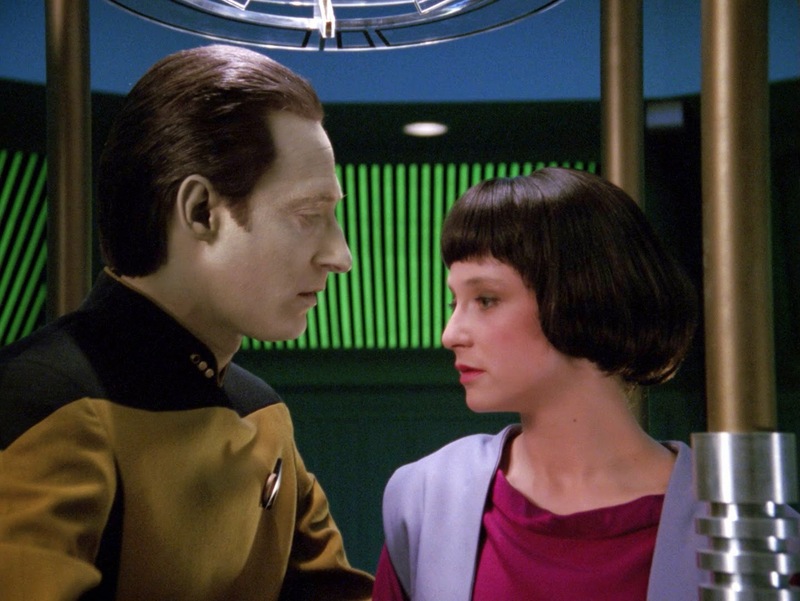 These people were classic victims of "Lets All Ignore The Prime Directive" and they wind up all the better for it, even though Picard doesn't think so. Of course, what I remembered most about this episode was Deanna's awful boyfriend. I just... man she became such a better character once she took her command test and got a real uniform. Have I written a post yet about Deanna's terrible boyfriends? If not, I should. That should be a post. Sometimes soon, while I'm sitting here with a writing headache, I'll write that post. Promise! Unless I have to go back to computer jail. So sorry about your computer, but glad you're back up and running! Welcome back!